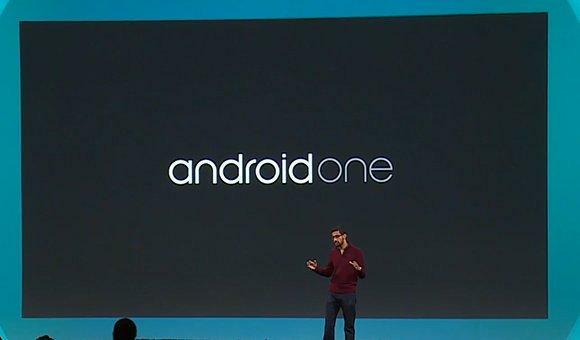 At Google I/O a new initiative called the “Android One” was started by Google. Micromax, Spice and Karbonn are the companies taking part in this Android One program. This smartphone program strives to provide a unified feature set tailored-made for the market the phone is launching in. What does this mean to general public of India? It means you will have a smartphone which will comprise of dual-sim, micro SD-card support, FM-Radio with a 4.5-inch screen. Also phones under the Android One program will get updates directly from Google like the GPE[Google Play edition] smartphones. Micromax is said to release its Android One smartphone on 15th September 2014. This will be exclusive sold on Amazon.in. A banner for the same has been advertised on Amazon.in’s site. 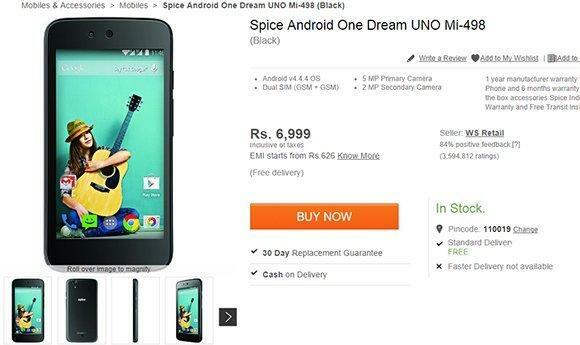 Similarly, even Spice is going to release their Android One smartphone on 15th September 2014. But an unexpected listing came up on FlipKart which was taken down immediately. The listing gave an idea about what the phone shall come out with. The Spice Android One Dream UNO Mi-498 includes a MediaTek SoC with 1.3GHz quad-core CPU and Mali 400 GPU, 1GB RAM and 4GB of built-in memory with microSD card slot. A 4.5” FWGA IPS display, 5MP main camera with LED flash, 2MP selfie unit, and dual-SIM support are also on board. The device comes with Android 4.4.4 out of the box. This phone will be FlipKart exclusive. Google has announced an event on September 15 for the same. Android One seeks to revolutionize smartphone industry with its sturdy specs and ~$100(Rs.6000 approx.) price tag. Will it give a direct competition to Xiaomi Redmi 1s? We shall see! We’ll update you with the new phones as and when released. Do keep a watch!